This is an open source hardware and software synth. Its also called "The Hackable Digital Synth" on the front panel. In its plastic housing of 17 x 12.5 x 6.5 cm (incl. knobs) you will find a little synth with all major synth parameters available. But no patch storage in the original version. Version 2 introduced patch memory and changed the layout. 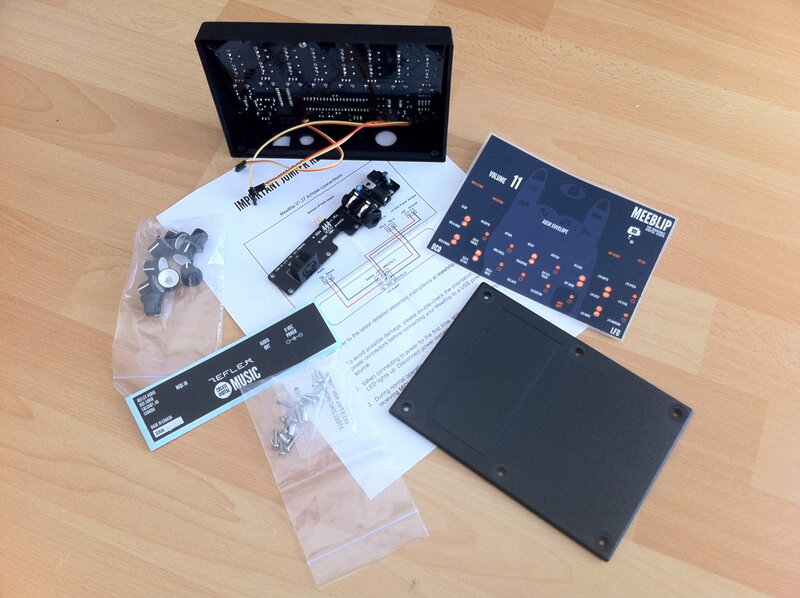 This synth was sold as a DIY kit with fully assembled boards and all needed parts by a little Canadian company called Reflex Audio from Calgary. I bought mine for 172.94 US$ including shipping to Germany. 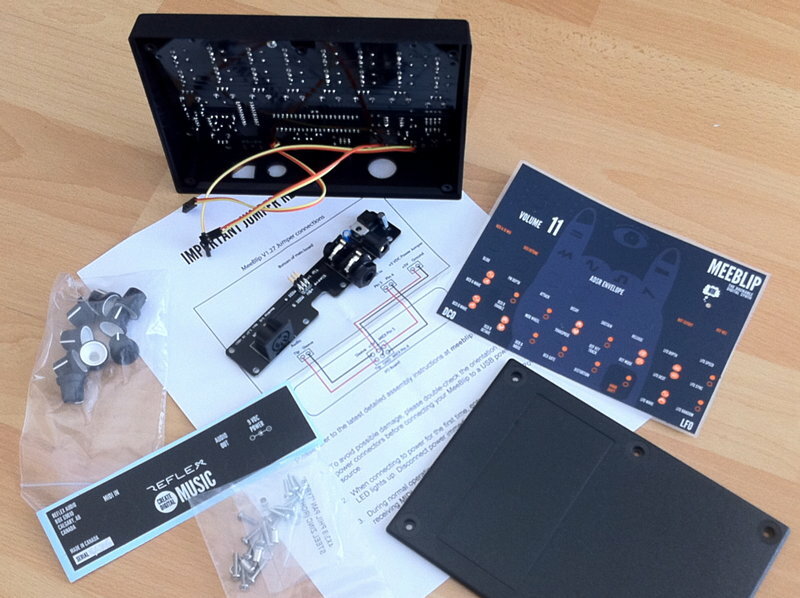 No soldering was involved assembling the kit. And it was easy to do. No rocket science needed. 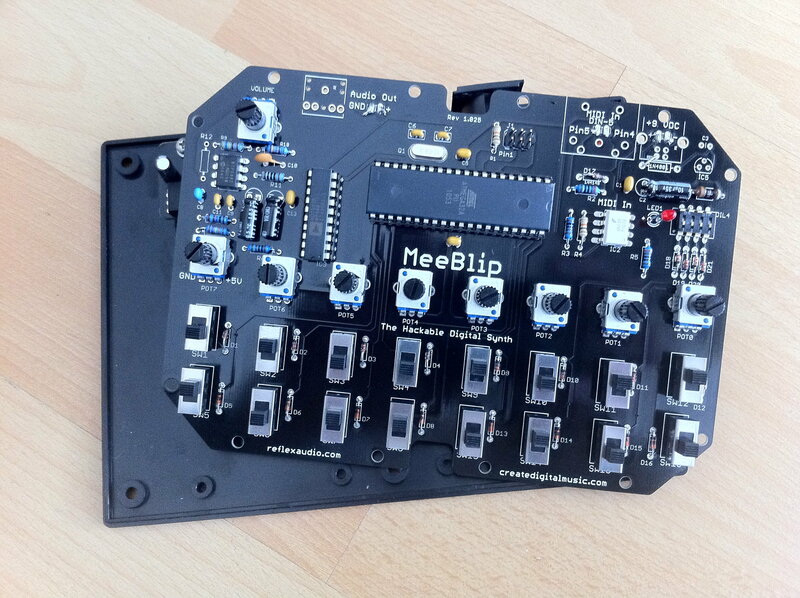 The synth is based on the 8-bit microcontroller ATmega32 chip. So this is not a superb high end quality synth for a super price. 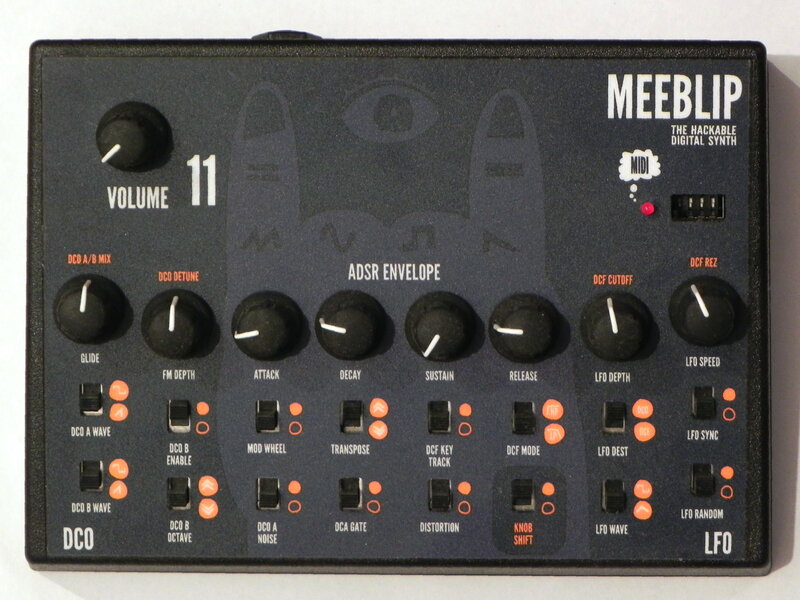 But this synth is except for the 4 dual purpose knobs fully WYSIWYG synth without menues. And you will not miss a manual once you assembled it. The sound character is a nice grouchy one. It reminded me (my personal option!) of a Access Virus A with squared aliasing.